Welcome back to Star Trek Week(s) here at SFAM! I’m going to try and do one comic for each of the five live-action Star Trek TV series. 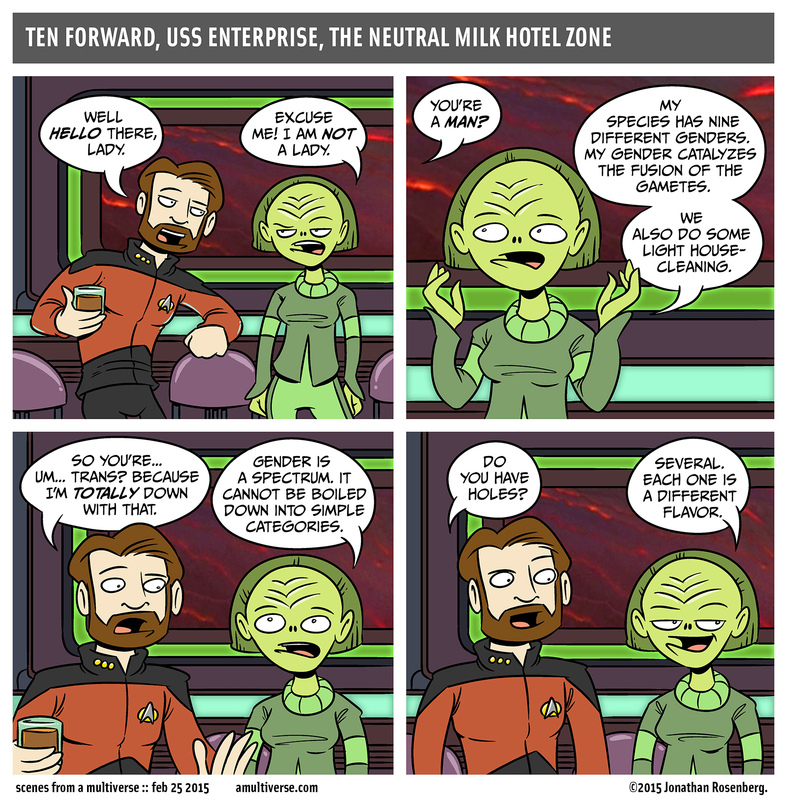 Tuesday’s TOS comic sure did cause some hubbub! Have you guys seen the Star Trek: The Next Generation episode The Outcast? Come on back Friday for more trekky goodness!